Born Without Bones' frontman Scott Ayotte recently worked with Table Three Media to produce a music video of an acoustic version of “Rough Terrain” off the band’s 2013 LP ‘Baby’ (Animal Style Records). 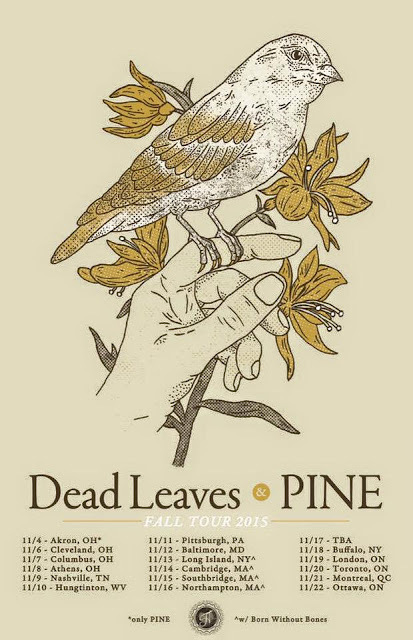 The band is currently on their own fall tour, with a homecoming show on 10/17 in Worcester, but has already announced they have picked up a few east coast dates on the Dead Leaves and PINE fall tour in November, including 11/14 at The Democracy Center (see details above). Follow Born Without Bones on Facebook for additional show information. Table Three Media is a media production company comprised of talented individuals, each with experience in various branches of the media arts including photography, video, printmaking, graphic design, web design and social media marketing. The culminating point of this organization is to utilize creative collaboration to efficiently provide artists in the music industry with the resources they need to produce album packaging, promotional photo shoots, music videos, social media bases, and general press kits for media advancement. In short, they make awesome things with awesome people. Holla at em.